Audrey Folson has been active in the Financial Services industries for over twenty-five years. She has a BS in Accounting from Florida Agricultural and Mechanical University’s School of Business and Industry. As a professional, Ms. Folson has proudly established a reputation of integrity as an accountant and tax consultant over three decades. She brings a wealth of knowledge and expertise to Small Business accounting. During this time she has consistently remained active in her local church as a member, often volunteering her skills while serving on the finance committee/department. Ms. Folson is an advocate for the accountability piece necessary for charitable non-profit organizations to provide to the public and its contributors. She has customized various budgets, record keeping and accounting system of controls (checks and balances) when establishing various organization’s accounting practices over the years. Presently she’s serving as CFO of her local church organization. 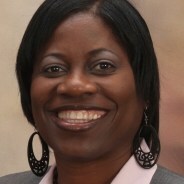 Ms. Folson believes in applying biblical principles as it relates to best business practices, money and finances daily. She teaches at finance workshops and gives presentations to faith-based organizations during conferences, with emphasis on being a good steward. Presently, she also serves on the board of directors of nonprofit organizations as treasurer. She is a Certified Nonprofit Consultant™. Ms. Folson also holds a 215 Insurance (Life, Health & Variable Annuity) Resident License in the State of Florida. Ms. Folson presently resides in the Central Florida area. Ms. Folson is an active, contributing member for the Board of Directors for Revealed International and asset to the Kingdom of God.